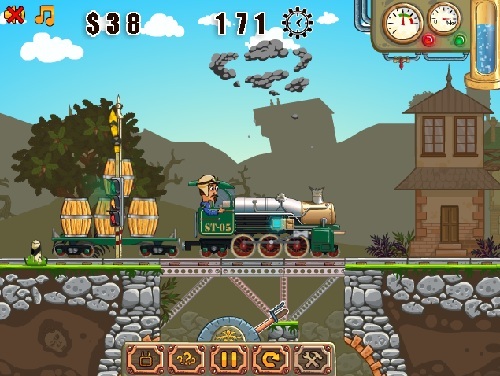 Description Unique action puzzle game in steampunk style. Design bridge, deliver cargo. How to play: Arrow keys to change speed. Space - to enter designer mode, to kick away animals. R - to restart level.